(Newser) – ABC News on Saturday suspended investigative reporter Brian Ross for four weeks without pay for his erroneous report on Michael Flynn, which it called a "serious error." Ross, citing an unnamed confidant of Flynn, the former national security adviser, reported Friday that then-candidate Donald Trump had directed Flynn to contact the Russians. That would have been an explosive development in the investigation into whether the Trump campaign colluded with Russia to interfere in the election, notes the AP. But hours later, Ross clarified his report on the evening news, saying that his source now said Trump had done so not as a candidate, but as president-elect. At that point, he said, Trump had asked Flynn to contact the Russians about issues including working together to fight ISIS. 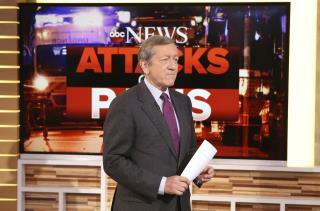 ABC was widely criticized for merely clarifying and not correcting the report. It issued a correction later in the evening. "We deeply regret and apologize for the serious error we made," the network said. "The reporting conveyed by Brian Ross during the special report had not been fully vetted ... It is vital we get the story right and retain the trust we have built with our audience—these are our core principles. We fell far short of that." The news brought swift reaction from Trump, who tweeted: "Congratulations to @ABC News for suspending Brian Ross for his horrendously inaccurate and dishonest report on the Russia, Russia, Russia Witch Hunt. More Networks and "papers" should do the same with their Fake News!" And while such errors have always been serious, notes one analyst with the Poynter Institute, the stakes are higher "when the president of the United States refers to the press collectively as an enemy of the people," because "the people who support that view will interpret certain acts of journalism as being evidence that the president is correct." Hmm. Fake news [occasionally] has consequences. So can Newser please suspend "doug bishop" comments for four months? If a just punishment is suspension for a mistake, faux nubes should be shut down. along with britebar and limbaugh oh yea and hannity. were are your pics ov thousands ov muslims celebrating in the streets ov new york after 911 donny ?